The holidays are a time of joy and giving to those you know and love as well as to those you don’t know through Angel Trees, volunteering in Soup Kitchens, Toys for Tots and more. 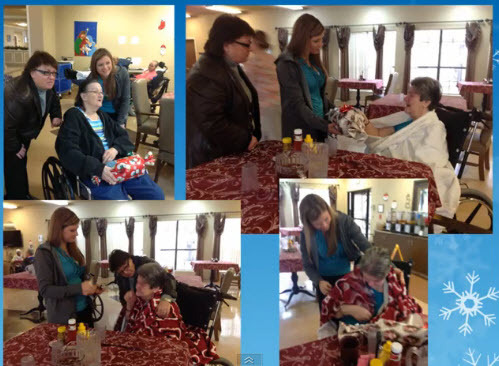 The team at Raintree Apartments in Baytown, TX wanted to give back to their community this holiday season. They decided to make a difference for some local senior citizens who have little to nothing including family to visit them. They reached out to their residents to help with their Adopt a Senior event. The residents jumped in and they were able to raise several hundred dollars so that they could provide some warm blankets for the local seniors. The Raintree Team went to the Senior Center and delivered them in person. Check out this video for a heartwarming look at this genuine act of service. How have you given back this season?